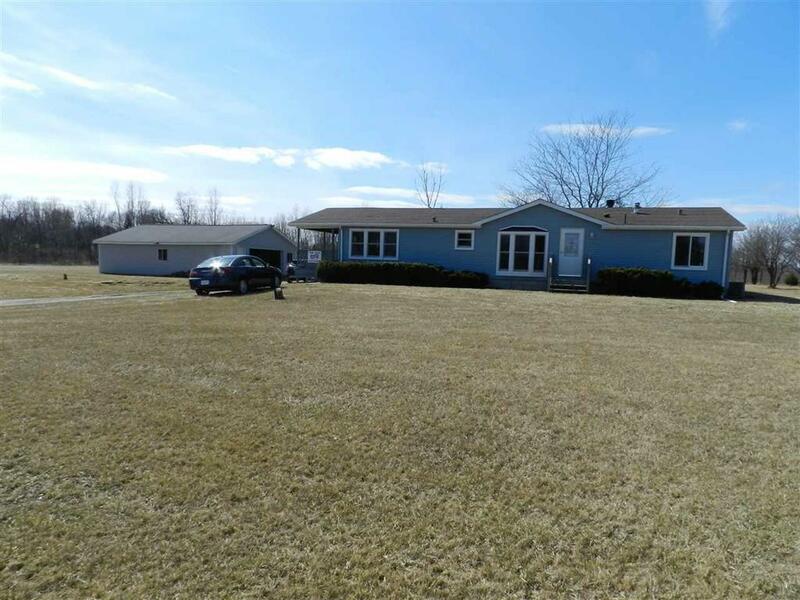 Country setting at it's best for this remodeled 3 bedroom ranch home on 4.99 acres. Don't miss the opportunity to view the many new items in this home; solid oak interior doors, new huge deck on the back and side of home, fireplace, cabinets, new pella windows and doors just to say a few. Come see this home and garage/pole building ready for storage or a work shop.